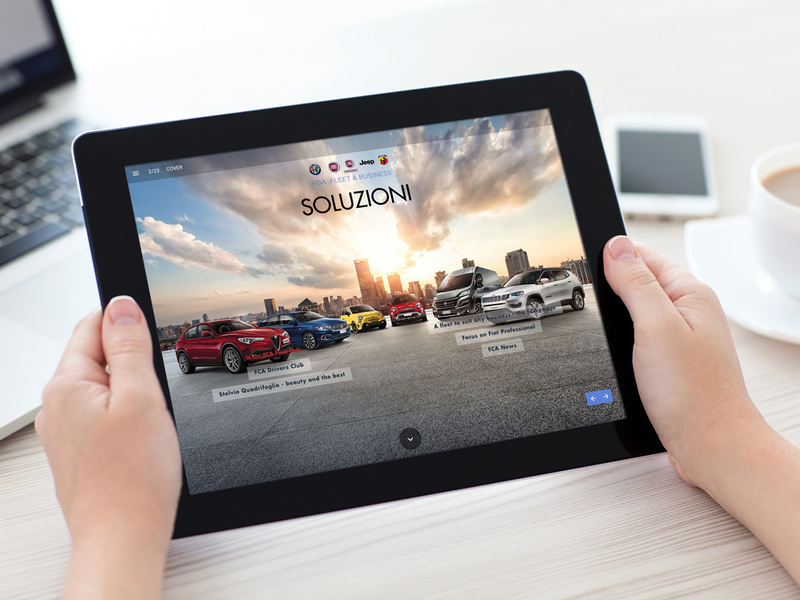 FCA has launched its latest edition of “Soluzioni”: a new digital business magazine, aimed at fleets wishing to learn more about the brand’s vast array of cars and vans. The digital magazine offers an ideal and convenient way to explore FCA’s brands including Fiat, Fiat Professional, Alfa Romeo, Jeep and Abarth. Designed with businesses in mind, the digital magazine provides quick access to book extended test drives, view price lists and the latest business offers, as well as calculate BiK and request quotes. In-depth articles include insight into FCA’s Drivers’ Club, the entire FCA model range – including commercial vehicles and more. Commercial vehicles take centre stage in the world of business and at FCA. Explore all the tools of the trade your business needs, from Doblò to Ducato and how their efficiency can help your business.